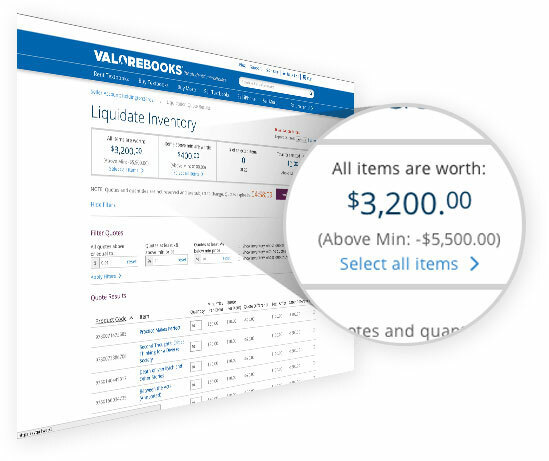 When you sell your textbooks with ValoreBooks Liquidate, you can unload your excess inventory all at once - at the best price for every book. Better yet, shipping is free and you can send everything to one place. That means no more wasted time shipping tons of books to different locations. 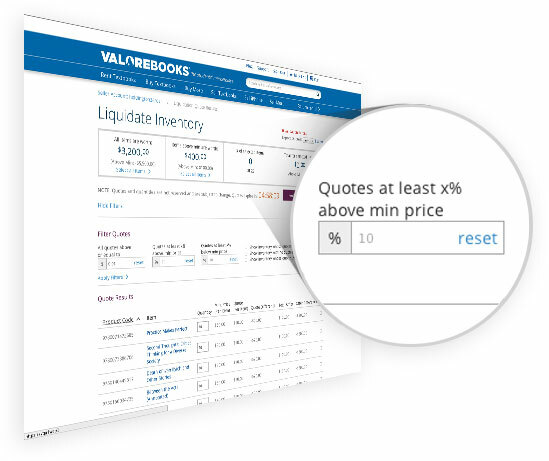 Upload or paste a list of textbooks you want to sell, then accept or reject the price quotes based on the minimum prices you set. Then ship all your books to one location for free! 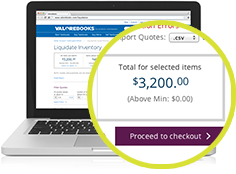 Get instant price quotes on up to 10,000 ISBNs at a time! No more wasted days or weeks comparing sellback prices - we do all the hard work for you. You save time and earn more money! We search through the hundreds of buyers in our marketplace, each competing for your inventory, to find you the best prices on millions of titles. 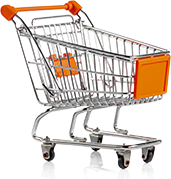 Instantly see what we can fulfill based on the current demand in our marketplace. 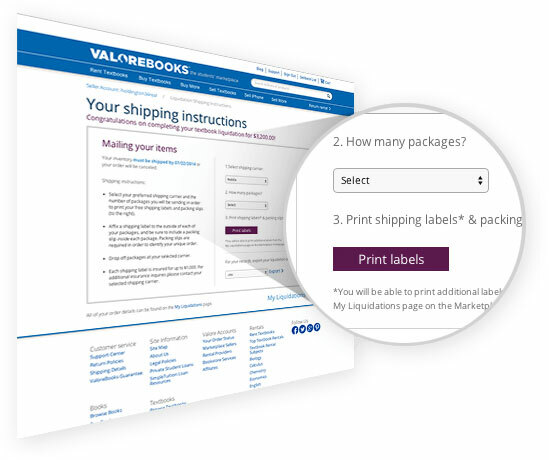 I sell books for a living and use a lot of companies, and ValoreBooks is one of the best. Thank you ValoreBooks for the great service! 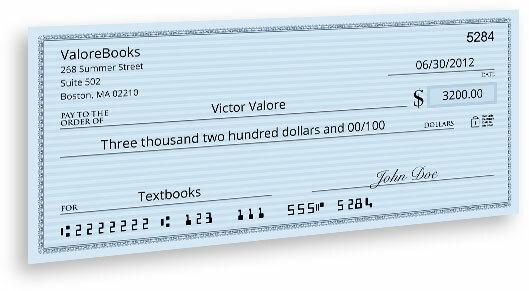 - Gary K.
With thousands of sellers, hundreds of buyers, and over 10 million student visitors each year, ValoreBooks is one of the largest and most trusted textbook marketplaces online. 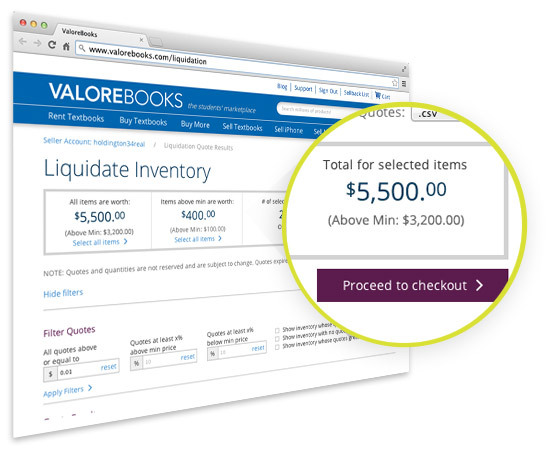 Why sell your used textbooks with ValoreBooks Liquidate? 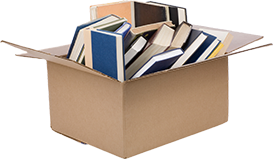 Bulk textbook processing We can process up to 10,000 ISBNs at a time, making it easy to sell even a large inventory of textbooks. 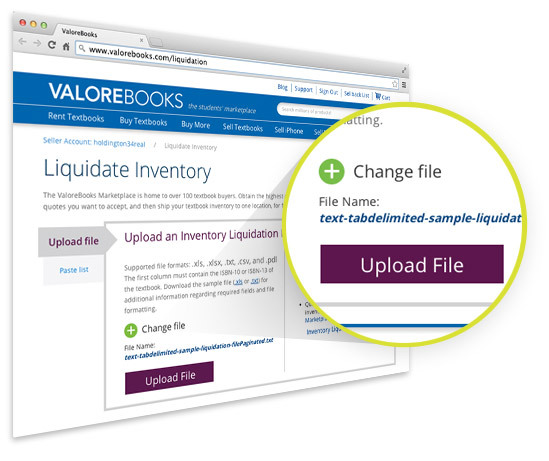 Just paste a list or upload a file of ISBNs - .xls, .xlsx, .txt, .csv, and .pdl formats are accepted. 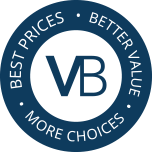 Highest sellback prices - instantly Say goodbye to comparison shopping. Our marketplace model ensures you get the highest price on every title every time. There are no hidden fees or commissions to worry about. Free shipping to one location Print as many pre-paid shipping labels as you need and ship all your titles to our warehouse. We'll do the hard work of distributing the books to your buyers. 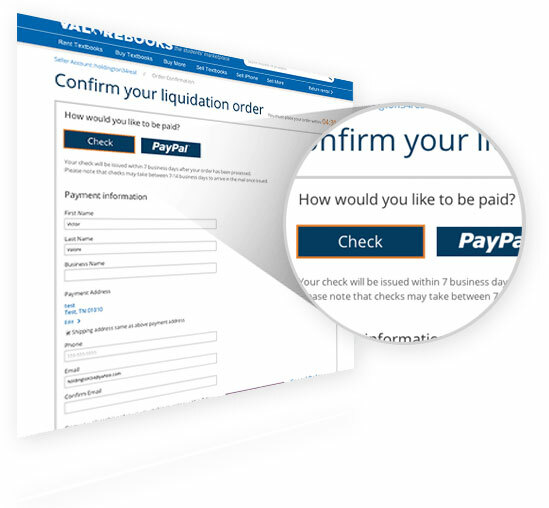 Robust customization tools Specifiy minimum prices for the books you want to sell, filter your results by price, export your results, accept only the quotes you want, and get paid via check or PayPal.